A landmark sculpture entitled “Origin” by Julian Wild forms a large bridge over the grassed area between the two buildings and celebratses the innovation that takes place at the BDI and TDI. It comprises two rectangular bars emerging from the ground that meet in the middle where they are pixilated into a network of rectangular blocks. It is 5m high, 12m long, and 2.2m wide, and is constructed of steel and stainless steel, partly painted red. The Big Data Institute will develop approaches for generating, storing, and analysing large datasets in medical science for a better understanding of human disease and its treatment. The outline planning application submitted by the University of Oxford relating to the integration and development of the 28-acre Park Hospital site (which it now owns) with its Old Road Campus in Headington was approved at the East Area Planning Committee meeting on 8 January 2013. 12/02072/OUT: "Demolition of existing buildings on application site. Outline planning application (fixing details of access) for the erection of 48,000sqm of class D1 research floorspace and ancillary facilities on 2 to 5 storeys over 5 building plots as an extension to University of Oxford Old Road Campus. Provision of 459 car parking spaces, cycle parking, hard and soft landscaping and boundary treatment"
There was a flurry of national and international interest in the Headington Shark in late 2017, stemming from an article in the Oxford Mail on 17 December about city councillor Ruth Wilkinson's plan to get it recommended for the council's heritage asset register, and then possibly applying to getting it listed by English Heritage. Work on the first phase of this project started on 17 October 2016 at Old Road. The formal consultation on the Traffic Consultation Orders (TROs) closed on 25 March 2016. In 2017 Cala Homes started marketing the first new homes off Waynflete Road and Bayswater Farm Road on the site of the former Bayswater Caravan Park at prices ranging from £300,950 to £715,950. “Demolition of existing buildings. Erection of new student accommodation comprising of 885 student rooms (of which 46 would be fully accessible), communal areas and amenity provision, associated cafe and shop, laundrettes, plant room and electricity substation, new vehicular and pedestrian access to James Wolfe Road and closure of existing, cycle parking, landscaping and new enclosures. Use of student accommodation outside term time by cultural and academic visitors and by conference and summer school delegates”. The possibility of building a power plant at the Warneford Hospital to provide heat for Oxford Brookes University, Headington School, and Cheney School (and ultimately for other parts of Oxford) has been mapped out by energy experts. The city council is now tendering for a detailed project development study. The proposed plant would be within the footprint of the Warneford Hospital, and not (as suggested by the Oxford Mail) in Warneford Meadow. The Oxford Artisan Distillery (TOAD) opened in the former South Park depot in Cheney Lane on 28 July 2017. They are open Monday–Saturday, 11am–3pm for the purchase of spirits. The distillery is located in the eighteenth-century threshing barn, which is a listed building. The plans include a new storage barn to house casks for ageing spirit, heritage grain, and other ingredients. An old shelter in the north-east corner of the site has been converted for staff and administration. At the end of October 2017 TOAD launched a crowdfunding appeal with the aim of raising £1million to build a restaurant, bar, and visitors' centre. The Oxford Civic Society pointed out that the site is subject to restrictive covenants set up by the Pilgrim Trust and the benefactors David & Joanna MacIver, banning the production of alcohol there; but city council planner Sarah Orchard said that this (and the fact that the site had been earmarked for housing) were “not material planning considerations”. The City Executive Board formally accepted the Headington Neighbourhood Plan on 20 June 2017, and at a full meeting of Oxford City Council on 20 July 2017 the Council resolved that the Plan be made. Do you want Oxford City Council to use the neighbourhood plan for Headington to help it decide planning applications in the neighbourhood area? “History made as Headington plan agreed by city council"
This new medical group appears to have been named after Hedena, the man who by Saxon times had given his name to Headington. Beech House on the corner of Latimer Road, which accommodates 175 students, was completed just in time to admit its first students at the beginning of the 2017/18 academic year. 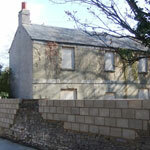 It is owned by the developers Frontier Estates (Oxon) Ltd and is managed on their behalf by Unite Students. Frontier first outlined their plans for this new student development at a public exhibition at Oxford Brookes University on 21 October 2014, and their consultant David Morris listened to the concerns of local residents at The Hub in Headington on 7 November that year. They then held a public exhibition on 27 January 2015 at St Clement's Family Centre. The demolition of four houses on the west corner of Latimer Road and London Road to make way for the development took place in May/June 2016, and work has been continuing since then. (2) The second application was for for “Demolition of the existing buildings and erection of a new 55 bedroom care home with associated landscaping, hardstanding and infrastructure”. This was withdrawn in May 2016. Anneliese Dodds (Labour) was also elected as Member of Parliament for Oxford East on 8 June 2017. She is resigning her previous position as MEP for the South East (which includes Oxford). Andrew Smith (Labour), the former MP for Oxford East, has retired: see his Message to his constituents. This would join large loads around Oxford Brookes University and Headington School with an energy centre at the Warneford Hospital. More details about the above candidates can be downloaded here. The University of Oxford plans to build a new neuroscience research facility at the John Radcliffe Hospital. The new building is intended to provide purpose-built facilities for the Centre for the Prevention of Stroke and Dementia (CPSD), as well as providing additional research and desk space for the Oxford Centre for Functional MRI of the Brain (FMRIB). Both of these organisations are component units of the Nuffield Department of Clinical Neurosciences (part of the University’s Medical Sciences Division). When the development is complete, it will create the UK’s largest dedicated centre for stroke research. A planning application is expected to be submitted to Oxford City Council in July 2017 to take forward the development of this new facility with construction to begin in early 2018. Members of the University and the design team held two consultation events at Osler House on 28 and 29 April 2017 and construction is due to begin in 2018. Wick Farm Ltd and would-be house-builder Berkeley Homes also want to build there a 250-bedroom accommodation block for the new Oxford School of Nursing and Midwifery being launched this year, and a 100-bed convalescent home for older patients to ease bed-blocking at the hospitals. There could also be a car park for the hospitals with a shuttle bus. Plans could also include a 20-acre parkland cemetery next to the Crematorium. Unlike the site of Barton Park, this land is (1) in the Green Belt and (2) falls under South Oxfordshire District Council. No formal approach has yet been made to SODC, and it is not included in their Local Plan, which has just been published. Christ Church owns adjoining land to the west of Barton Park and was also reported to be interesting in developing it. Van Coulter, who was Oxford City Councillor (Labour) for Barton & Sandhills Ward from 2010 and Chair of the East Oxford Planning Committee, died suddenly on 13 March 2017 at the age of 57. A by-election for this city council vacancy will be held on Thursday 4 May 2017, at the same time as the county council elections and the referendum on the Headington Plan. Novo Nordisk is to invest £115m over ten years in a new science research centre to be based in the Bioescalator Building currently under construction on the Old Road Campus. The Trust announced on 2 February that it had completed the acquisition of the former Stansfeld Outdoor Education Centre. On 27 October 2015 it announced that (subject to planning permission) the centre would become the Wood Centre for Science and Innovation (WCSI), which will be twinned with the Oxford Centre for Innovation (OCFI). This 7.2 ha site was originally bought by John Stedwell Stansfeld so that children from St Ebbe’s could stay in the countryside, but in 1933 his family sold it to Birmingham City Council. Birmingham City Council agreed on 17 March 2014 to cease their outdoor learning service here after 31 July 2014. Birmingham Property Services put the centre up for sale by informal tender in 2014. The centre was registered as an asset of community value, so community groups had a chance to raise the funds to bid for the 250-year lease on the land for six months after it was put up for sale. The two unsuccessful bidders were the Oxford Co-Housing group and a care provider. The Friends of Stansfeld group was formed in June 2015 to represent the community in the sale of the Stansfeld Outdoor Centre. The aim of the Friends is that the woodland area is protected in perpetuity (and opened to the public if possible) and that the site provides educational facilities, especially a Forest School. Work in the streets of Headington began on 28 November 2016, with three dig teams, and ended on 12 March 2017. The plans submitted by Nuffield Orthopaedic Limited for a new development at the Nuffield Orthopaedic Centre were approved by the East Area Planning Committee in January 2017. They are for “Demolition of temporary office building. Erection of freestanding two-storey research building (Botnar 3) with glazed footbridge link to existing Botnar Research Centre building. Provision of 4 disabled car parking spaces and covered cycle store for 200 bicycles”. Mosaics Oxford is now marketing the first homes built on Barton Park. This access road runs very near the reserve. Over 200 people have objected to the application. Ronald McDonald House Charities have been granted planning permission for a new four-storey building on the disused tennis courts (0.4 hectares) at the John Radcliffe Hospital. The site is bounded to the north by Hospital Car Park 2a, to the east and south by Woodlands Road, and to the west by the rear gardens of Sandfield Road. At present the charity can only offer 17 rooms on the top floor of the children's hospital and cannot meet the demand. The approved application is for “Ronald McDonald House to provide 62 bedrooms including communal areas, admin facilities, plant and store rooms along with associated landscaping and drop off area”. The church withdrew an earlier planning application submitted in February 2015 so that pre-application discussions could be held with the planning officer. A Heavenly Desserts café opened on 10 October 2017 in the former Morrison's shop at 73–75 London Road. The shop had been closed since November 2014, and was advertised as available to rent leasehold at £60,000 per annum. The premises measure 1,893 sq. ft, and loading is only possible via the front of the shop. Black Mamba Tattoos moved in with Vente Hairdressers in July 2017, so their shop at 9A Windmill Road has been refurbished as an office. Headington Butchers & Groceries opened on 14 December 2017 in the former Pet & Garden Stores at 150a London Road. The shop was offered to let with the Central Business Agency at £19,500 per annum (reduced from £25,000), or for offers in the region of £295,000 (reduced from £395,000) for freehold. Headington's Pole Dance Studio moved to the Oxford Sports Academy in 2017, as their premises above Savers are being turned into a flat. This opened at 99 London Road on 10 August 2017 in the former W. H. Smith shop (which closed on 23 March 2017). It was advertised for sale at £615,000. The Letting Centre (TLC) has been taken over by Breckon & Breckon: they too had to move out of Charterford House in April 2017. The former Angels premises at 111 London Road closed in May 2017 after the business merged with Fusion Hair. Angels then reopened in Fusion's premises at 97 London Road. This opened on 31 March 2017 in the former Clic Sargent charity shop next to the HSBC Bank. This shop closed in August 2016 and was advertised to let at £30,000 per annum. This opened at 146 London Road in September 2017. These premises were formerly occupied by the Bar Meze. This closed in early 2017, and the Desi Lounge opened there on 10 February 2017, but the premises were repossessed by the landlord, Khushi Properties Ltd, on 4 April 2017. This opened on 8 June 2017 at 81 London Road (the premises of the former Rose Tree restaurant which closed in 2016). A Grill House will be opening shortly in these premises next to Bury Knowle Park, following the approval of a planning application to turn this former office into a hot-food takeaway (17/00639/FUL). This shop was tacked on to the end of the row of former Victorian houses called Westbourne Terrace in the 1960s (61/11381/A_H). It was latterly the office of Connell's estate agents, and was vacated in May 2016 when they moved to larger premises nearby at 129–133 London Road. The premises were offered for sale (offers in the region of £400,000); alternatively a new lease could be offered at a commencing rental of £27,500 per annum. There was a restriction on not using the premises for estate agency, lettings, or financial services. An earlier application for an office building here was approved in September 2015 (15/02281/FUL), but an application to remove conditions from the plans was refused in May 2017 (17/00435/VAR). The new extension of the Manor Surgery in Osler Road was officially opened by former Oxford East MP Andrew Smith on 13 May 2017. The surgery, whose patient numbers rose by two thousand in the previous two years, was awarded £1.2million to extend its practice building to provide six new consultation rooms and two practice nurse rooms. It plans to offer space for an out-of-hours service and community-based clinics. A planning application submitted In March 2017 for the EF International Academy (based at Cotuit Hall on the west side of Pullen’s Lane) was refused by the East Area Planning Committee on 8 November 2017 but this decision was overturned by the Planning Review Committee on 13 December 2017. The application included 139 documents, and by May 2017 there were also 128 public comments. This is the first planning decision which took into the consideration the new Headington Neighbourhood Plan. The Academy is a school for 16–18-year-olds on two-year residential courses studying for A-levels and the International Baccalaureate. At the moment Cotuit Hall is used only for teaching, but the college hopes to expand it to accommodate 350 boarding students in 142 bedrooms (with between one and three students per room). EF bought Cotuit Hall from Oxford Brookes University in 2011. It previously housed 102 Brookes students. Second Lieutenant Arthur Fry (24) of the OBLI, former undergraduate of Hertford College who lived at Boundary Cottage (at the south-east corner of present Headington School site): died at No. 5 Casualty Clearing Station in France on 28 February 1917 and buried at Bray-sur-Somme Military Cemetery. Nielsen's, which has been on its present site on the London Road near the Thornhill Park & ride for 60 years, sold their 12-acre site to developers in 2016 and will be moving to the Oxford Business Park by early 2018. In December 2016 prior approval was granted to Headington Developments Ltd for “Change of use of Nielsen House and annex from office (Use Class B1(a)) to residential (Use Class C3) to provide 30 x 1-bed flats and 63 x 2-bed flats”. An application by London & Cambridge Properties relating to the offices above Kingsway House, 77a–81C London Road for “Change of use of from office at first floor level (Use Class B1(a)) to residential (Use Class C3) to provide 2 x 2-bed flats” was approved in March 2017. These offices are above Coco Noir, The Garden, and the Cancer Research UK charity shop and are at present occupied by Ferguson Bricknell Solicitors. Three other conversions have already taken place in Headington under this new relaxation of planning permission, including Kennett House. Planning application 16/02112/FUL was approved in November 2016 to turn this pub in Glebelands into a five-bedroomed house. This pub in Old Road closed in 2011. Fleurets advertised it as a pub to let (guide rent of £22,500 per annum) in early 2016, but the advertisement has now been withdrawn. This reopened on 25 November 2017 and is run by the community, bringing Headington's total number of pubs back to ten. The Amp Revival group, which got the pub listed as an asset of community value and has been raising funds to save it, was involved in this application. The pub was built by Ind Coope in 1938, and was the local of C. S. Lewis. It is currently boarded up, and was put up for sale with offers of £625,000 + VAT invited (reduced from the original £700,000 + VAT). The Quarry Gate pub at 19 Wharton Road (on the corner of St Leonard's Road) was demolished in 2015. No member of the public sought to get it listed as a heritage or community asset, and Seville Developments were told that prior approval for the method of demolition was not required for the method of demolition”: 15/00591/DEM. This pub was for sale for a very long time (with its price latterly reduced from £899,000 to £775.000) and was bought by Seville Developments for £600,000 in mid-2013. Internal work on the building took place in January 2014 and until now Seville have been using it as their offices. The Sobell House Charity plans to build a new specialist facility at the Churchill Hospital aimed at patients with more complex illnesses such as dementia. It will overlook Southfield Golf Course and cost £5m. A new £45m heart centre, jointly run by the University of Oxford and the British Heart Foundation, is planned for 2018. 15/00996/RES: “Erection of Bioescalator/Amenities Building, together with landscaping and ancillary works. (Part reserved matters of outline planning permission 12/02072/OUT relating to Plot B4, seeking approval of appearance, landscaping, scale and layout.)”. There will be a 459-space multi-storey carpark (replacing the current 260 spaces, so the net increase is 199 spaces) built on the Old Road Campus. Universities, Science, and Cities Minister Greg Clark visited the Old Road campus on 23 October 2014 and announced that a new £110m cancer centre, the Precision Cancer Medicine Institute is planned to open in 2017 or 2018 on the Churchill Hospital site or the Old Road campus. It will have 200 workers and will study drug, surgery, and radiation therapy in cancer patients. "Blueprint for a £110m cancer research centre"
Bob Williams, formerly of Headington’s G. H. Williams, is still doing bike repairs from home in central Headington: tel. 01865 762664 or mobile 07962 896 663. He has fifty years’ experience of repairing bikes and is strongly recommended. Park & Ride for John Radcliffe Hospital? The county council has said that green-belt land close to Marsh Lane and the northern bypass is being considered for a park-and-ride site for the JR Hospital. Hillsboro, the house at 14 Holyoake Road where C. S. Lewis lived with Mrs Moore in the 1920s before buying The Kilns with her, was advertised by Strutt & Parker in 2013 as land for potential re-development. According to the “Our Property” website, 14 Holyoake Road sold for £1,600,000 on 2 May 2008. The name Hillsboro can be seen engraved over the downstairs window. Lewis must have been on his way up to this house when he was famously converted to theism in 1929 while on a bus going up Headington Hill. In recent years there was a chiropractice at this house. Construction of the new development at Northway started on 14 January 2015. The building work is being carried out by Haboakus (Kevin McCloud’s development company Hab in partnership with the housing association GreenSquare). Oxford City Council provided land in Northway for the developers, who in return have rebuilt Northway Community centre and are providing 47 new homes in Dora Carr Close and 21 flats in Westlands Drive. The Emmaus Charity furniture store moved to Cowley in May 2016. 12/03281/FUL Demolition of existing building. Erection of 21 flats (14 x 1-bed, 7 x 2-bed) on 3 floors, together with 21 car parking spaces, 56 cycle spaces and landscaping.